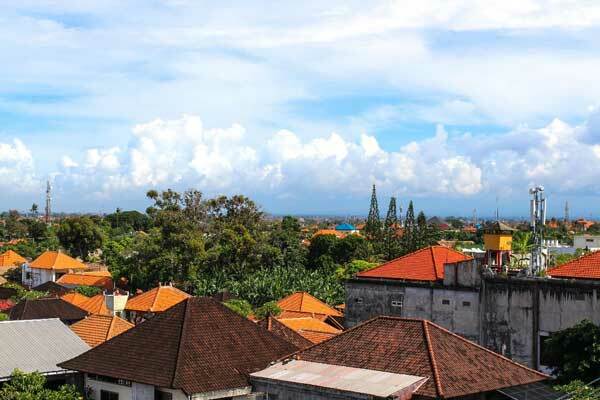 Situated on the south-eastern tip of Bali, Sanur is 30 minutes away from the airport and just 10 kilometres away from the party hotspot of Kuta… yet still retains its village feel. 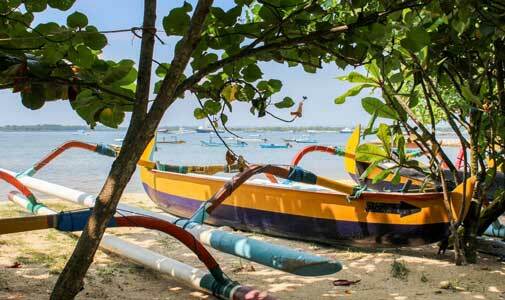 For many years now, Sanur has been the chosen destination for expats to settle when moving to Bali. My husband, Rob, and I had travelled to Sanur for 12 years before we relocated here in 2016. Since our move, we’ve found it really easy to fit in with the local and expat community. Our home on the western side of the bypass is only 10 minutes away from the beach, but my morning walk as the sun rises will take me by lush watermelon gardens and rice paddies. There’s nothing I like better than waking early and walking or ride my bike through the quiet streets, just as everything is coming to life. The only sounds are the roosters calling, and early morning sweepers clearing the paths and roads in front of their homes. Motorbikes are few at this time of the day and the many women dressed in their sarongs and sashes, out to make their daily offerings, always nod and say good morning. I get to practice my Indonesian, replying “selamat pagi” (good morning) as I walk past. Sanur was always our choice when holidaying, so it was a no-brainer when we decided to move here permanently. One of the earliest beach resort towns in Bali, it doesn’t have the hustle and bustle of Kuta or Legian. Quite the opposite in fact, traffic is slow and traditional Bali life continues. I’m sharing some of my tips to help your own transition into expat life. There’s an offshore reef a few kilometres out to sea, so the oceanfront in Sanur is more a lagoon. Small waves lap at the shoreline, where the brightly coloured traditional fishing boats line the sand. 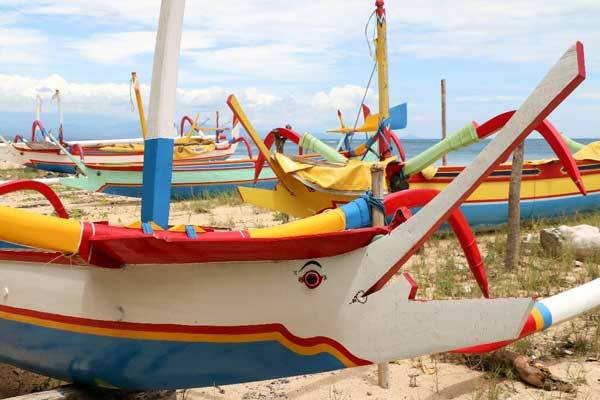 A jukung (a small, wooden outrigger canoe) is a great way to cruise out and get a different perspective of Sanur. We’ve paid $40 for a one-hour boat trip twice now, once at sunrise, and witnessed the sun rising above Mount Agung, which was truly spectacular. Also, in the afternoon we headed south, chasing the sunset. This is easy to organise—just speak to one of the many fishermen you see working on their boats during the day. Living on the western side of the bypass hasn’t stopped me gaining easy access to the beaches. Admittedly, crossing the busy road is a nightmare at times, but it’s doable. Along the road, the median strip has cut-outs, which allow you to cross when traffic slows. From there I can ride down Jalan Duyung and reach the ocean within five minutes. There’s a five-kilometre paved path, which runs from Mertasari Beach in the south to Sanur Beach in the north. I find it’s a leisurely ride—not too crowded most of the time—and I’ve got plenty of places to stop for coffee or a cold drink along the way. With over 300 options, we really are spoilt for choice. There are many restaurants and cafés along the promenade, most of them open from early morning to late at night, so every meal is covered. The night markets located on Jalan Danau Tamblingan are a great way to sample local foods cheaply. Our favourite is the Martabak vendor. Pastry is rolled thinly and placed on the hot pan, then an omelette type mixture is prepared, filled with vegetables and chicken. Poured on top, the pastry is folded over the omelette as it’s cooking. Once done it’s sliced up and served. It’s delicious and feeds the two of us for $2.50. Rob’s favourite is the ayam goreng. Fried chicken and rice, served with sambal sauce, for $3. The Sunday morning market at Café Batu Jimbar is also popular with expats. Loads of local food is freshly served from around 9 a.m., including tuna spring rolls, vegetarian samosas, deep fried tofu, shrimp dumplings and the yummiest sweets. Or pile a plate high with nasi campur, a mix of vegetables, rice, chicken and pork for $4. I usually add my favourite drink, es kelapa muda. It’s freshly scooped young coconut flesh mixed with water and lime—so refreshing. There was a time when the Hardy’s complex was our only choice in Sanur. Now we also have two branches of the Pepito Supermarket. We find we can get most groceries without having to leave Sanur, including fresh meats, fish, fruit, vegetables and freshly made bread. Most things are reasonably priced, but anything imported can be expensive. I couldn’t believe when I found a jar of Vegemite for $15. Needless to say, I went without until my next visitor from home brought supplies! Next to the Batu Jimbar restaurant is a small store called The Pantry. It’s a great backup for any imported goods you might be chasing, and they also stock a great variety of cold meats and cheeses. For bulk shopping, we head to Lotte Mart, a larger store only 15 minutes south on the bypass road. Here we can find almost everything, from homewares, electrical goods, fresh produce and bulk dry goods. Lotte Mart is good for stocking up on the essentials. Further away there’s Carrefour, which reminds me a bit of a Kmart type store and there’s also Grand Lucky on Sunset Road. Both of these stores are good for local and imported products. A great find for us was the Papaya Supermarket. There are two stores, one located in nearby Renon and the other in Legian. It’s Japanese owned and features a fresh bakery and freshly made sushi. A mixed six-piece sushi pack only costs us $3. It’s a perfect snack when we’re running errands on the west side. In 2016, the Bali Mandara hospital opened in Sanur. The project was completed with support from the Royal Darwin Hospital to ensure development to international standards. It’s provided medical care to locals and expats without having to travel too far from Sanur. My friend, who recently had a fall and broke her wrist, was impressed. “The staff were so helpful and professional, I was seen promptly,” Susan told me. Her visit and consequent care, which included having a plate inserted, cost $350. BIMC Hospital is located in Kuta, a 30-minute drive away from Sanur and also comes recommended for expat care. For small issues, we have two local clinics we use and have been impressed with the care from both. Mutiara Medika Clinic is located on Jalan Sekuta in Sanur. A check-up and blood pressure medication costs Rob under $20 monthly. Gopa Medical is located on Jalan Danau Poso. We find the practitioner a little more expensive, as he’s located on the tourist strip, but his care is professional and efficient. Bali weather does alter in some areas, but Sanur is fairly consistent. 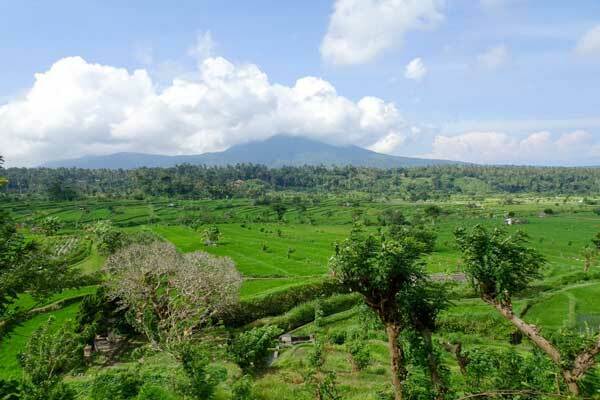 As Bali is located only eight degrees south of the equator, the weather is warm year-round. There really are only two seasons, but the temperature rarely varies between a high of 30 C and a low of 23 C.
The wet season runs from late October until early March, but don’t expect the season name to stop you from enjoying any outings. It’s still warm, just very humid as well. The season begins with unexpected downpours randomly through the day, before settling in from around December through February. Extended days of rain and cloudy skies are the norm, and then the wet tapers off again as March approaches. Many Balinese believe Nyepi day (a Balinese day of silence) heralds the end of the rainy season. So far, they’ve been right. The dry season runs from April through to September and is exactly that—hot, dry days with brilliant blue skies and a steady warm temperature. The eastern side of the island experiences strong winds from June to August, when I’ve actually been cool enough to wear long sleeves at night on the beach. I often get asked what I do with my day. Surprisingly, I find it hard to answer. The day just passes. Breakfast is usually fruit and yoghurt at home. Lunch or dinner usually isn’t planned—it just happens. 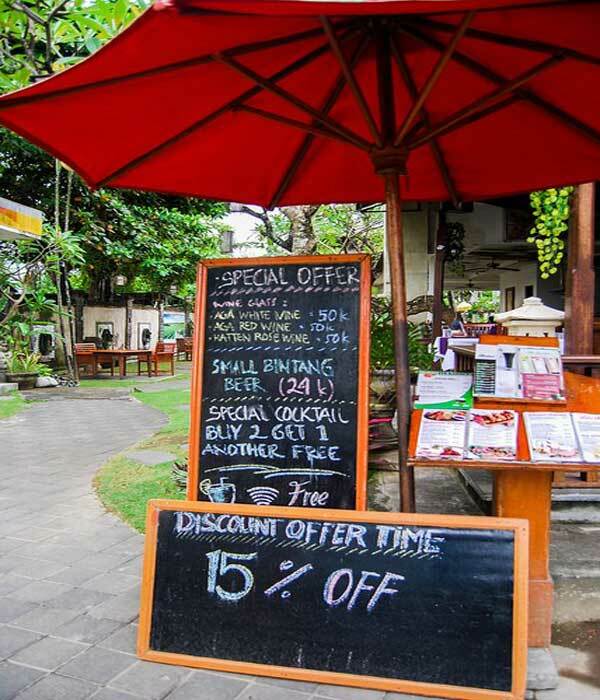 If we’re at our restaurant, (Beach House Sanur ), most times we sit and chat with visitors or friends. Sanur is centrally located, which makes it easy to drive anywhere. We’re only a 30-minute drive from Nusa Dua, Kuta or Legian. We can be in Candidasa, for lunch at Le Zat, overlooking the water, within an hour. One place we like as an escape is Komune Beach Club. Only a 40-minute drive north to Gianyar, it’s a resort overlooking the black sands of Keramas Beach. The day club has a pool, a great restaurant and day beds will cost you $30, with all costs being credited in food and drinks. Try the Peking duck rolls ($6.50) and the barbecue pork ribs ($15.50). Plus, the views are spectacular. Bike hire is easy. Or if you’re staying long term, buying a pushbike will set you back around $120. It’s a great way to get around in Sanur—traffic is slow and I find it’s easy to ride along the roadside. The beach path is ideal for cyclists and it’s a great way to get some exercise. Scooter hire and car hire is easy in Sanur; you’ll see signage everywhere. Costs to rent a car range from $250 to $350 per month, depending on the size. Scooter hire usually costs around $60 per month. North on Padang Galak Beach is Taman Festival, a theme park which was set to open in 1997, but never did. The shells of buildings still stand and make great photo opportunities, while street artists have created some amazing murals. The Museum Le Mayeur was once the home of Brussels artist Adrien-Jean Le Mayeur de Merpres. 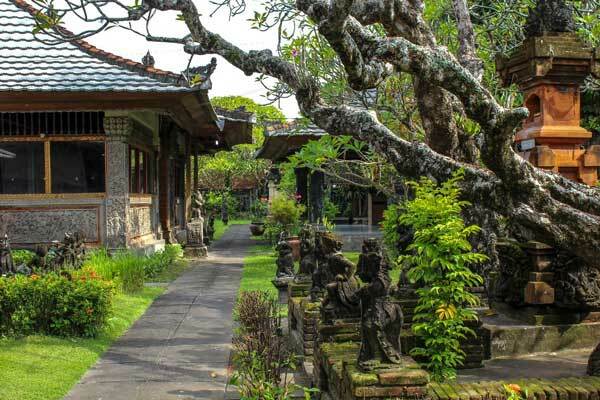 The home now features his art and showcases classic Balinese architecture. 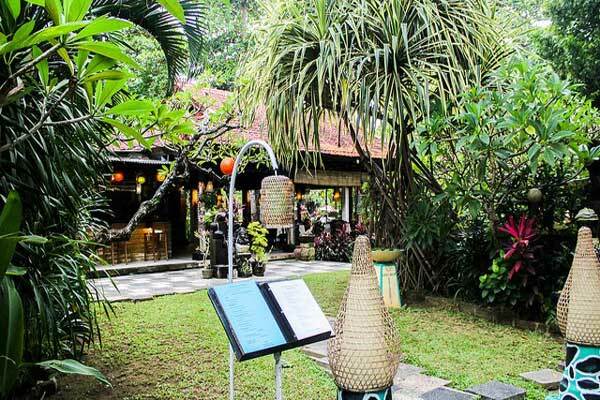 You’ll find it just north of Sindhu Beach. It’s open Monday to Friday only. The Blanjong Temple, on Jl. Danau Poso, houses one of the oldest relics in Balinese history. The Blanjong pillar is etched with Sanskrit inscription and is said to date back to the 10th century. From June to September, be sure to look up! The skies are filled with kites, particularly during July, when the Bali Kite Festival is held. Large trucks are used to transport the kites, which are usually works of art and can span five to 10 metres. The process of take-off and landing is just as impressive as them flying in the air and a trip to the kite festival is a must.